Keeping your lawn grass healthy requires a certain level of dedication and planning if you want to do it right. 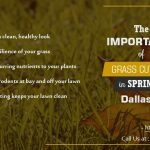 This is often the case when you are following a DIY approach as against hiring a weekly lawn care service to carry the burden. One way to ensure that you do it right is by creating and working with a weekly lawn care checklist. 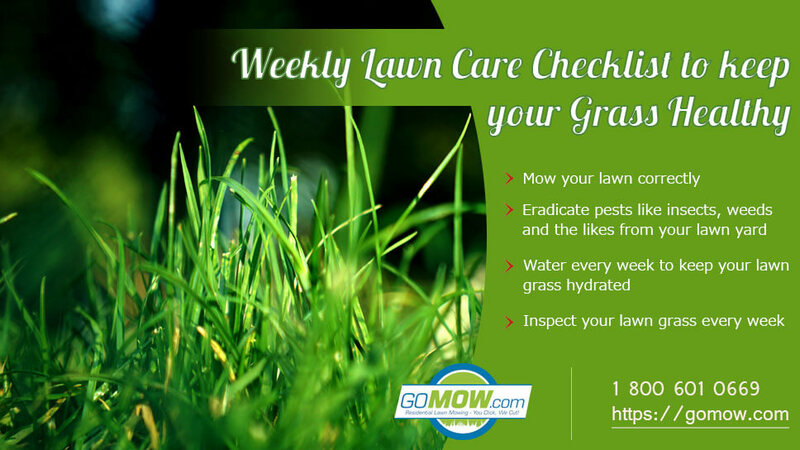 This weekly lawn care checklist contains specific action steps to take at every point in time to give your lawn the very best treatment. Scroll down below too read them and hopefully implement any new ideas on your lawn. Proper lawn mowing can never be over-emphasized as far as lawn health is concerned. If you want healthy lawn grass, you must mow your lawn correctly. This will involve following industry best practices like setting your mower blades to cut your grass at the required height of one-third of its length. Cutting lower than this can be risky especially for some grass species that grow better at a certain length. Mowing schedule should also be put into consideration. Should it be once weekly or once every 2 weeks? These are some questions to consider in your checklist when planning your lawn mowing schedule. 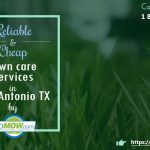 For lawn owners using a mowing service, your Lawn Mowing service in Plano of preference will probably guide you to make a good decision on this. If you mow properly, your grass will develop better root systems and grow thickly which means they can become naturally resistant to attacks from weeds, pests, and diseases. It’s also important to include the place of regular mower maintenance as an important element of keeping lawn healthy. Your lawn mowing experience will feel great when you implement this and, of course, your lawn will be healthier for it. Insects, pests, and weeds are all negative elements that can affect the health of your lawn grass. Including this checklist in your weekly lawn care routine is necessary if you wish not to be surprised by a pest or disease infestation. As a lawn owner, you may choose not to perform weed control every single week but prefer doing it once in 2 weeks. 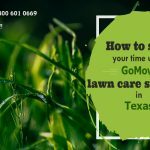 Ideally, a lawn owner should be able to go for a lawn care plan that gives them peace of mind without compromising on the necessity of the task at hand. Weeds can seriously endanger the life of your grasses if allowed to grow and proliferate all over your lawn yard. Weed control of the organic variety should be applied with care to eradicate all weeds. For best results, engage a GoMow affordable lawn service near your location to get started. Water is an essential need to sustain life both for animals and plants. Your lawn grass needs adequate watering to grow in good health. Once weekly is usually the recommended option to keep your lawn adequately hydrated regardless of the season’s sun. If you have a large lawn yard or you are often busy, your best bet to keep in excellent plant health is to engage a weekly lawn maintenance service that offers weekly watering. Your grass will look greener, fresher and fuller if you water as often as its needed – usually, an inch deep of water done once a week will take of this with ease. Any prolonged neglect of your lawn could lead to a surprise development you won’t find funny time-wise and finance-wise. It only takes a few seeds dispersed in the right places for pesky weeds to start growing on your lawn grass. If you prefer to have a consistently healthy lawn yard, then the importance of inspecting your lawn is a major one. Inspection can either be done by you if you know what to look out for or you can get a team of weekly lawn care experts to do it for you. And I bet you; you will be surprised at some of the discoveries. So there you have it, a weekly lawn checklist showing the major things you need to cross off every week to keep your lawn feeling and looking healthy day in, day out. Get across to us at GoMow lawn mowing service plans Weekly & Bi-Weekly to find out more on how we can be of service to you today. Click below to get a quick FREE QUOTE for weekly lawn mowing services.